ITIP students (along with other Elliott School students) have access to a wide variety of courses at a major research university in downtown Washington DC. These include courses in the Elliott School of International Affairs, the Columbian College of Arts and Sciences, the School of Business, the School of Public Policy and Public Administration (SPPPA) and the School of Public Health. The following courses (applicable to the four ITIP major fields of international economic policy analysis, development economics, finance, and international business) have been offered in the last academic year and/or are scheduled for next academic year. The core courses, which normally are completed in the first year of study, provide the foundation necessary for understanding international trade and investment issues. The core includes courses in economics and political science. In addition, students take a quantitative methods course to complete the core field. A leader among professional schools of international affairs, the Elliott School was the first to offer its graduate students a full set of professional skills courses focusing on practical skills that help students succeed as practitioners in their careers. The courses are designed to supplement the substantive and theoretical aspects of our academic curriculum and teach skills applicable to the professional world. 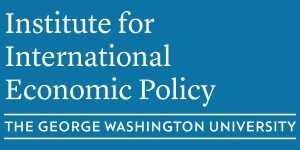 This field provides deeper training in economic analysis and is especially appropriate for students seeking employment in the public sector, think tanks, international organizations and non-profit organizations focused on international economic issues. This field is designed for students interested in the theory and practice of development economics. Courses deal with development economics from a micro and macro perspective and include approaches in economics and business. This field focuses on private sector international management, finance, and marketing. Be sure to consult the University Bulletin about any prerequisites for particular courses. This field helps prepare students for careers in the financial sector. Students should include a financial accounting course. Be sure to consult the University Bulletin about any prerequisites for particular courses.